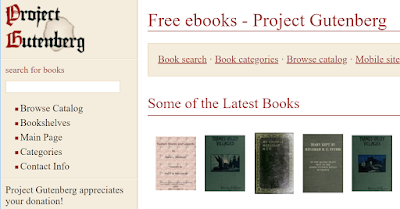 Project Gutenberg is an amazing site containing over 57,000 free ebooks at the time of this writing. Recently I've been working on a project to create a database of book bibliographies. A database of book references from within other books. You'd be able to answer the query: Show me all the books that reference "Thinking Fast and Slow". I plan to use Project Gutenberg as the repository that I use to create the first version of this database.